Art for the Nation: Gifts in Honor of the 50th Anniversary of the National Gallery of Art, National Gallery of Art, Washington, D.C., 1991, 266-267, color repro. Clark, Carol, Nancy Mowll Mathews, and Gwendolyn Owens. 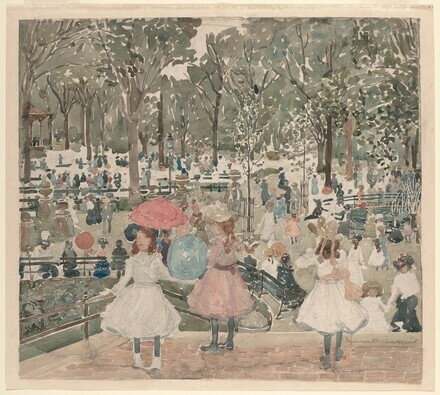 Maurice Brazil Prendergast and Charles Prendergast: A Catalogue Raisonné. Williamstown, Massachusetts: Williams College Museum of Art, 1990, p. 410, no. 787.